Non-flexible tempered aluminum with ultra-smooth edges. 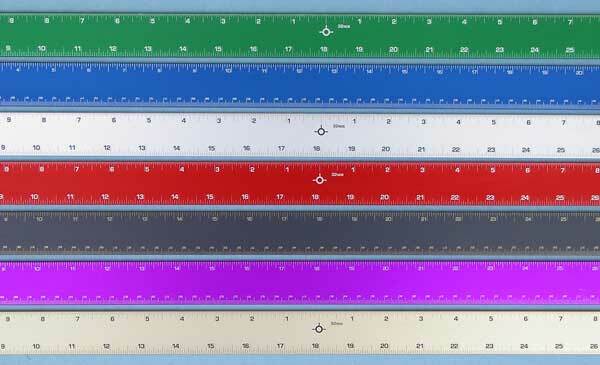 Photo anodized calibrations in inches and centimeters with center finding calibrations on back. The Alumicolor® Standard Straight Edge with a neoprene non-slip backing that grips better than cork and does not dry out or chip off. Ultra smooth edges and photo anodized calibrations make this ideal for inking and cutting against. More rigid than thin steel versions. 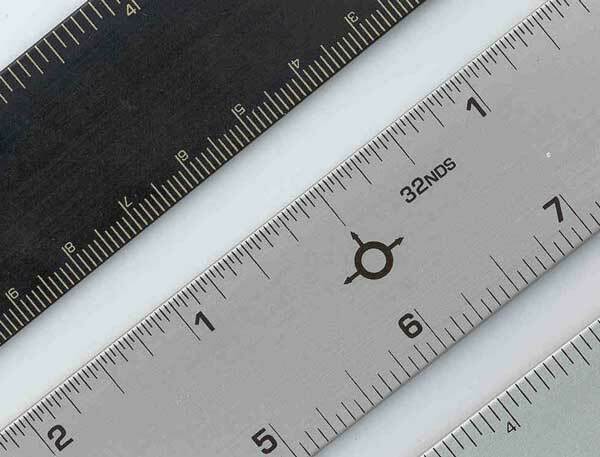 Standard Straight Edge with center finding calibrations on the front and a neoprene non-slip backing. Find the center of a product quickly and easily. Great for quilting, scrap booking, graphics, hobbies and home projects. End to end calibrations. Specifically targeted at sewing/quilting. Front side has yard marks and 16ths, while the back is blank. Lightweight, low-priced, but sturdy. 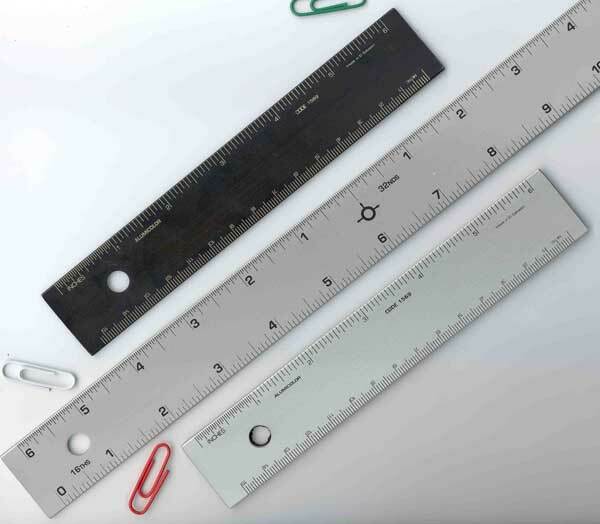 Measures 1/16" thick and 1-1/8" wide. Now sold in 12-Pack quantities. 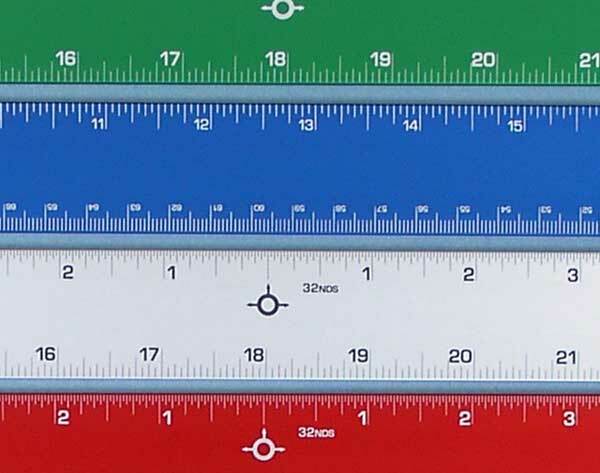 Dimensions: 6" to 24" lengths: 1.156" wide, 0.070" thick. Dimensions: 30" to 48" lengths: 1.250" wide, 0.125" thick. Packaging: Hang hole. No packaging/no hang tags, bar code printed on front. 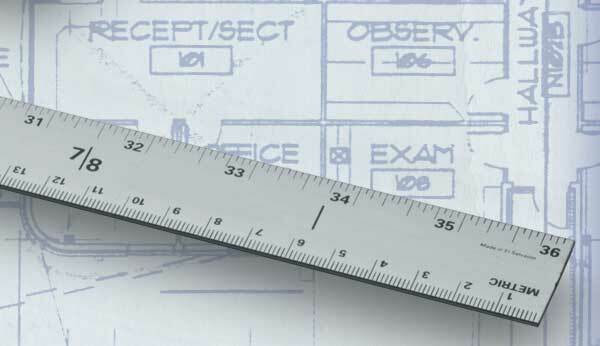 Dimensions: 1.156" wide, .070" thick. Quantity: Sold in case quantities of 12 only.